To be eligible for the Elite Provider Program, applicants must be an ALTA member in good standing. 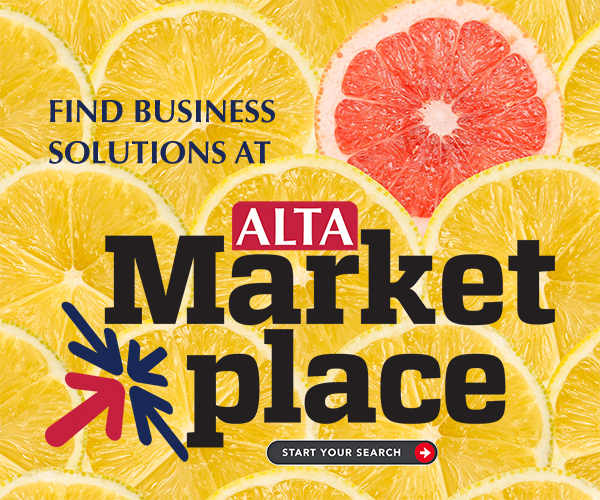 Applicants may not represent that ALTA endorses them, their products or services. All applications will be reviewed by the ALTA Elite Provider Staff Team. Elite Provider status will be effective through December 31. All Elite Providers will need to renew for the following calendar year via a short form process. ALTA may revoke Elite Provider status for cause at any time. Applicants will be required to sign subsequent agreements with ALTA prior to acceptance into the Elite Provider Program. By applying to be an Elite Provider, the applicant agrees to abide the terms and conditions of the ALTA Elite Provider Program. The applicant certifies that the information provided in this application is complete and true and accurate to the best of the applicant's knowledge. Please Log In to access the Elite Providers Application. If you are unsure of your login information, please use the password reminder to find your account.